Babies are to be handled carefully before they reach the age of one. Hence, doctors and nutritionists recommend a specific set of foods for the babies who are below one-year-old. 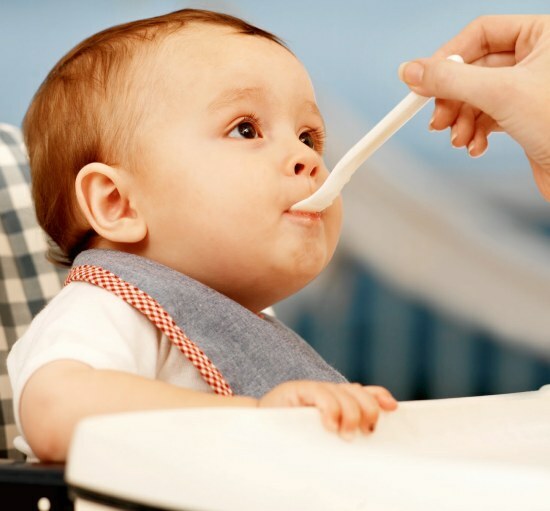 As their stomachs are weak and need extensive caring, you should pay attention to the baby foods which are strictly prescribed for them.In this article, we will focus on the 5 foods that we are supposed to feed the baby before age 1. This is the most important food for babies who are less than five months old. 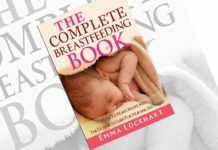 As many of the doctors recommend not to introduce solid foods at an early stage, the baby should be fed only with breast milk. It contains all the necessary ingredients such as nutrients, antibodies, etc. that not only provide the baby with nourishment but also protects it from certain diseases such as allergies, respiratory diseases, asthma, etc. 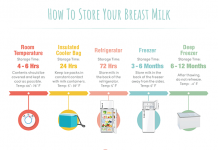 However, breastfeeding can be continued throughout the year, as long as a certain proportion is maintained. Cereals are important for babies, especially the cereal mixed with iron. 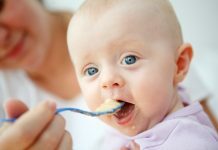 While this food can be fed to the baby throughout the first year, there is a certain prescribed formula to be followed. 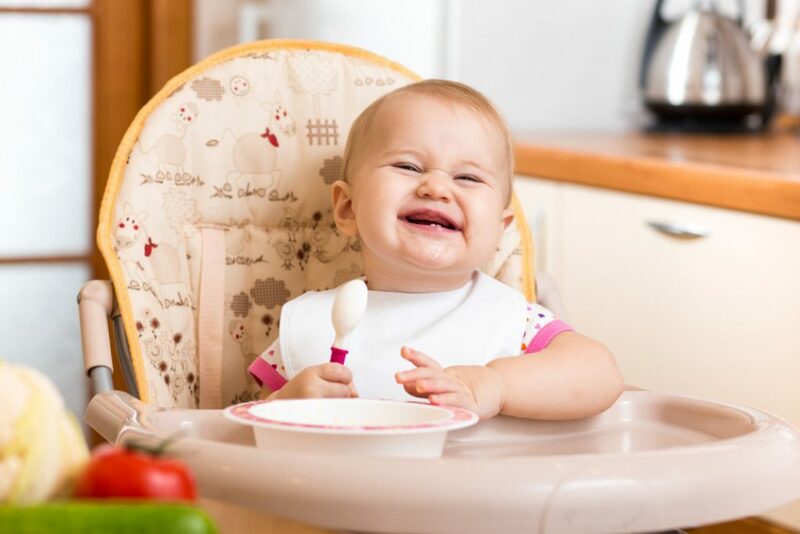 For 4 to 6-month olds, 3 to 5 tablespoons of cereal and iron should be provided, while the quantity can be increased a bit when the baby becomes 7 months of age. You don’t have to worry about preparing the food, as the cereals fortified with iron are easily available in the market. 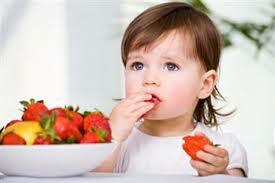 Fruits can be introduced to the baby once he/she reaches 5 months of age. While it is the period to introduce solid foods, there can be no better solid foods than the fruits and vegetables. Some of the important fruits for this stage include fruits like berries, peanuts, apples, bananas, peaches, etc. while some of the pure vegetables include potatoes, spinach,a few cooked onions or garlic, etc. 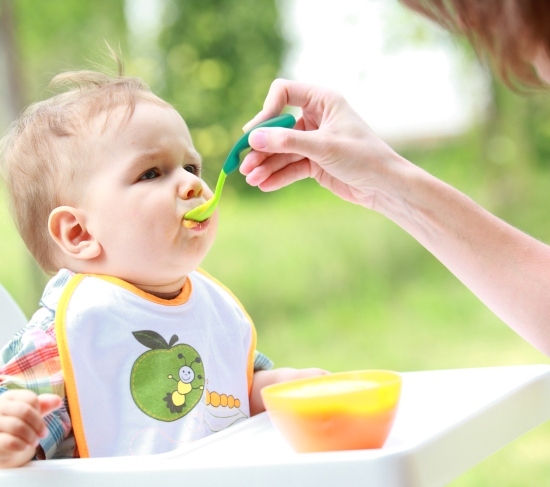 You must, however, consult with a doctor before you feed solids to your baby. Meats can be introduced to a baby in small quantities as soon as he/she becomes 5-months-old. Certain meats such as porkor chicken can be fed, as they provide essential nutrients to the babies. Beef is a rich source of protein and zinc, and hence you can give it to your baby. You can prepare a recipe (strictly avoid adding spice, go for boiled recipes) by mixing the beef with potatoes or green vegetables suitable for your baby. 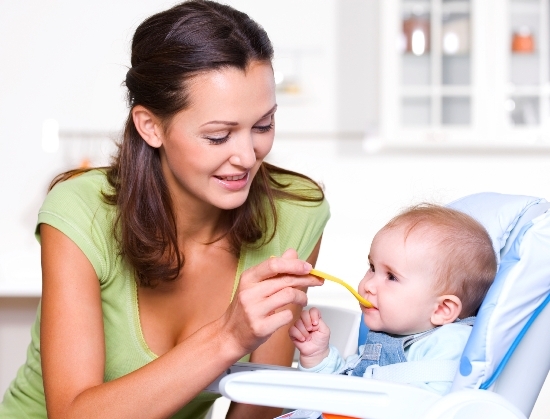 When the baby is nine-months-old, you can provide snacks and juices to the baby. The juices must be vitamin C fortified, else it’s better to wait till the baby becomes 1-year-old. The snacks can include plain yogurt, cookies, pudding, cottage cheese, toasts, cooked beans, etc. When it comes to baby foods, you need to do a bit of research. While consulting a child specialist, this is the first recommended step. 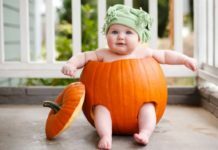 Here is How you can make Healthy Juices and Shakes for your Baby! 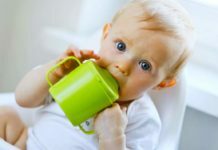 What is the Best Recommended Baby Food-Organic or Inorganic?